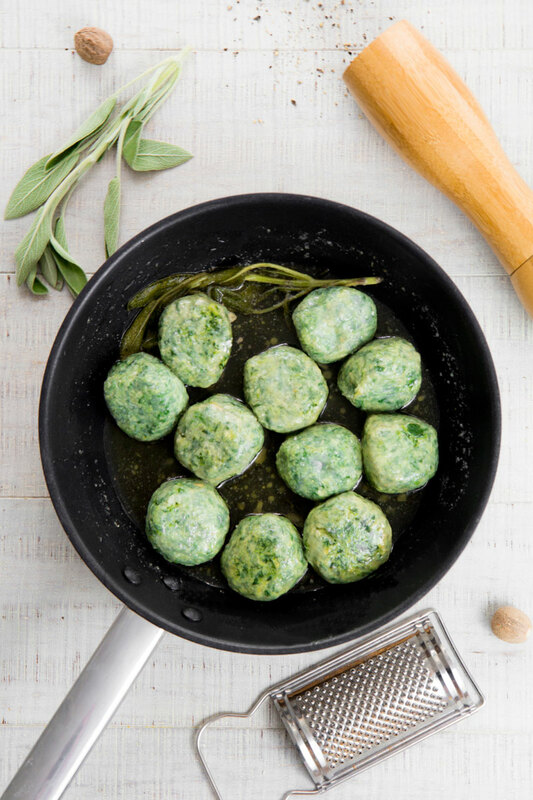 Gnudi is a classic Tuscan recipe, simple and delicious! 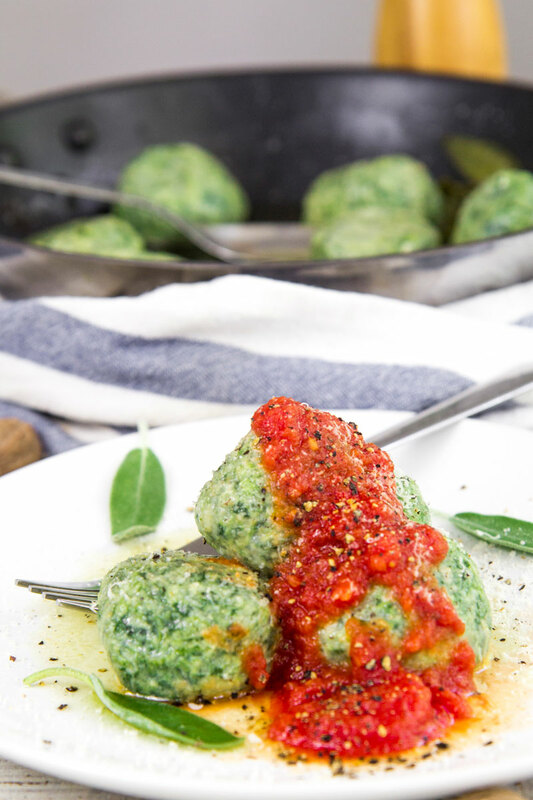 The particularity of these Italian dumpling is the smoothness of the dough and the intense flavor thanks to the spinach Ricotta, and Parmigiano-Reggiano cheese. Commonly, Gnudi are tossed with butter and sage and often paired with a simple, fresh tomato sauce. 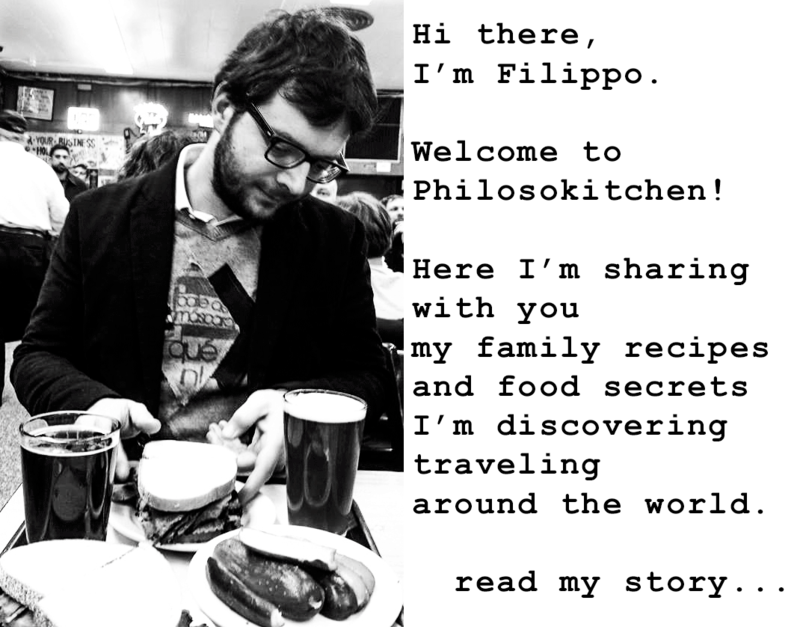 Try them on and let me know: they’re an authentic bite of Tuscany! 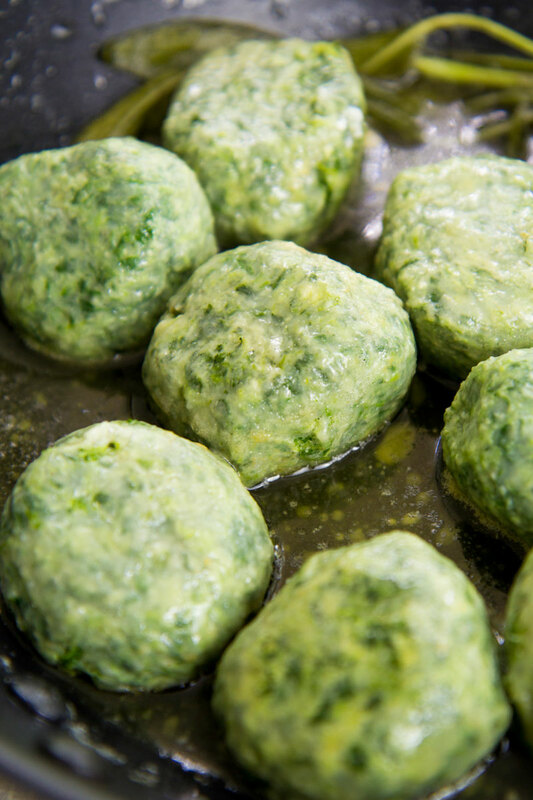 Gnudi, also called Malfatti (“ugly shaped” in Italian) are delicious Tuscan dumplings made with a mixture very similar to the Ravioli filling. The legend tells of an Italian cook that tried to boil the leftovers stuffing of fresh pasta, creating in this way the Gnudi (“Gnudi” means “naked” in Tuscan dialect, filling stripped of the pasta shell). The recipe is basically the same in all the Tuscany cities, besides a couple of things. The first is the quantity of flour into the mixture: someone reduce or increase the amount, someone else just doesn’t use it: in the last case, the dough will be very soft, but very difficult to cook maintaining their shape. The second difference concerns the cheese. Some recipes requires just Parmigiano-Reggiano, some others only Pecorino Toscano, or a mix of both. Personally, I prefer use exclusively Parmigiano-Reggiano. First, rinse the spinach leaves thoroughly and cook them 5 minutes in boiling water; then raise and pour the vegetables into iced water to stop the cooking and save the bright color. 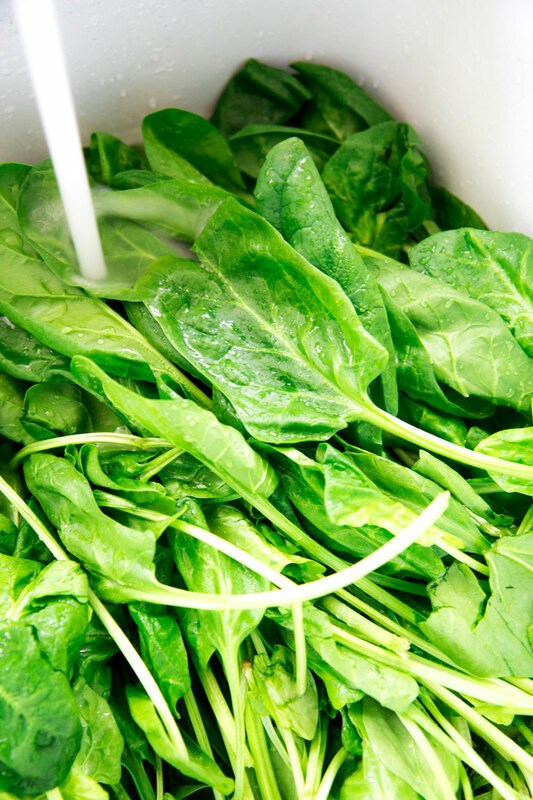 After that, squeeze the spinach a little at a time: it’s critical eliminate as much water as possible. Finally, mince the spinach. 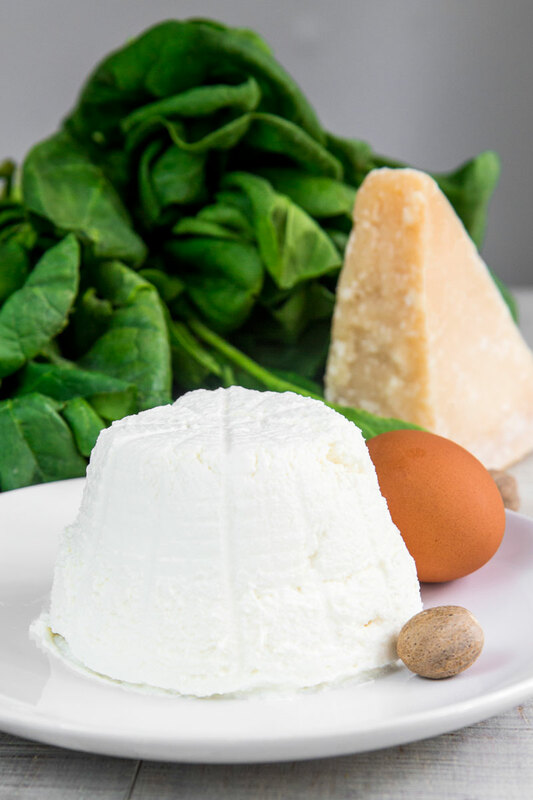 Now, combine in a bowl the spinach with ricotta, eggs, grated Parmigiano-Reggiano, 7 tbsp of flour, 2 pinches of nutmeg, 2 pinches of black pepper, and 2 pinches of salt. Whisk and knead the mixture until consistent, them store in the fridge covered with plastic wrap for at least 1 hour up to 24 hours. 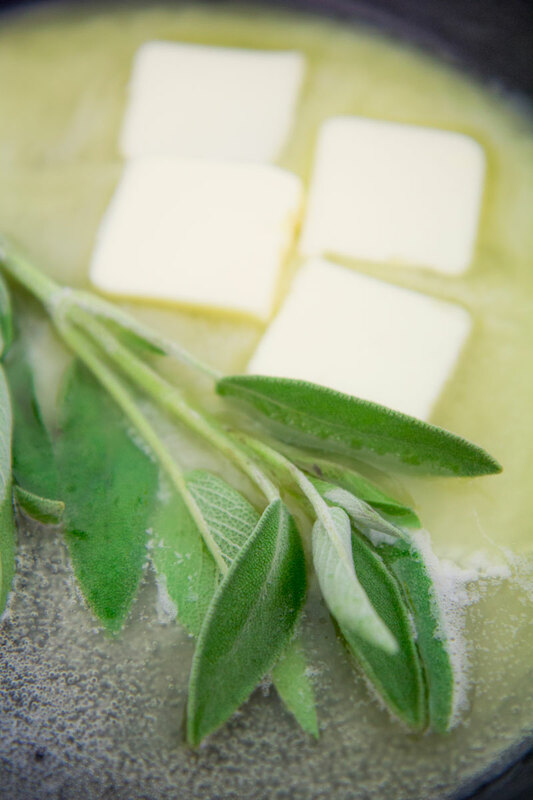 Melt the butter in a large pan, then sauté the sage over medium heat until the butter starts to become lightly brown. 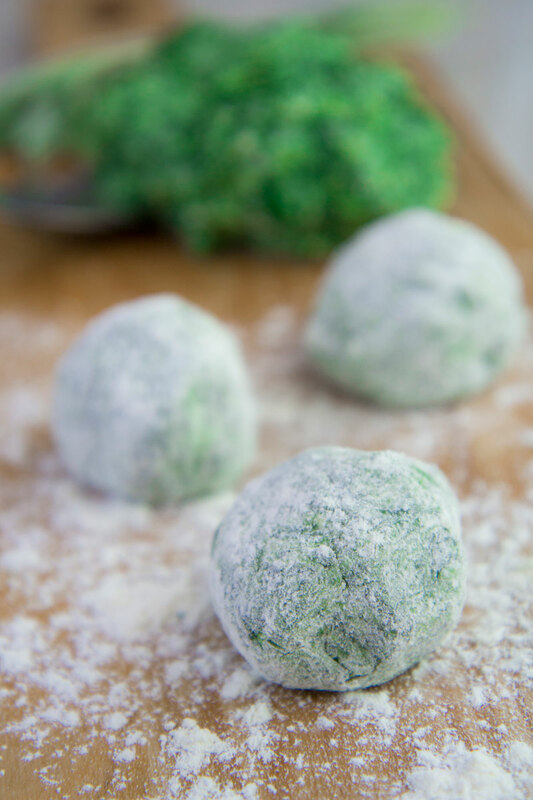 Divide the Gnudi dough into 20 parts, the roll in the flour shaping them into balls. Now, boil the dumplings into boiling water salted with 4.5 tbsp of coarse salt. 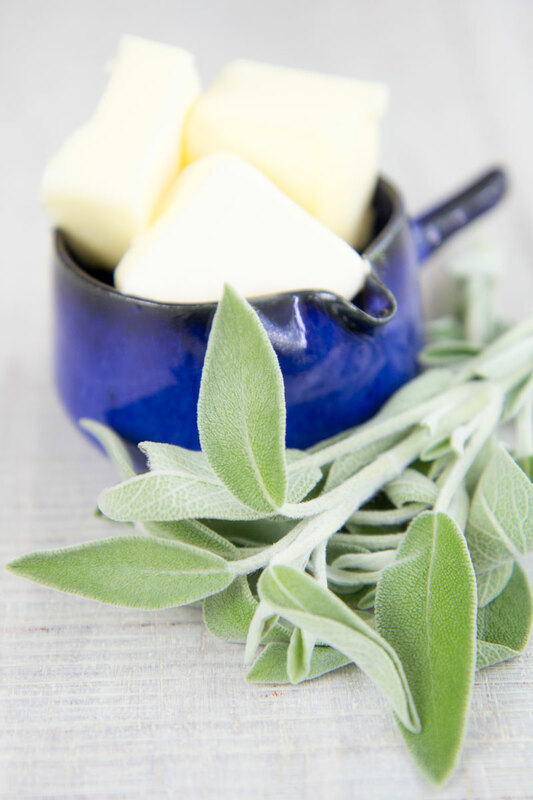 Cook a couple of minutes then raise with a slotted spoon and season with the butter and sage. Be careful because the Gnudi are very delicate. 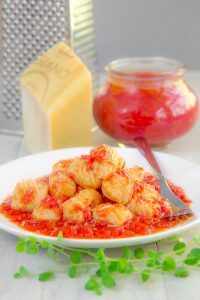 Serve Gnudi immediately, with or without a spoon of fresh tomato sauce (here the recipe) and a sprinkle of Parmigiano-Reggiano and black pepper. « BEST RESTAURANTS IN BARCELONA: 9 typical dishes you want to try! I haven’t had a chance to actually make these yet. However, the thoroughness of the recipe and the accompanying pictures appear to guarantee that this will come out perfectly!! I’m so excited to try these (I’ve not only haven’t prepared these before but I also haven’t had the pleasure of eating these before)! I had several choices of recipes from various sites but the authenticity this recipe had, the easy flow of the recipe and the details of the instructions made choosing this recipe an easy one for me. Recipe looks great! I haven’t made these or had these before & I’m so excited to try both!! I had several choices of recipe sites but the authenticity of this recipe, the flow of the recipe, the details included in the instructions and the pictures for each stage made me know this was my best choice. Thanks for your words Heather! I hope you’ll find Gnudi delicious as I do.